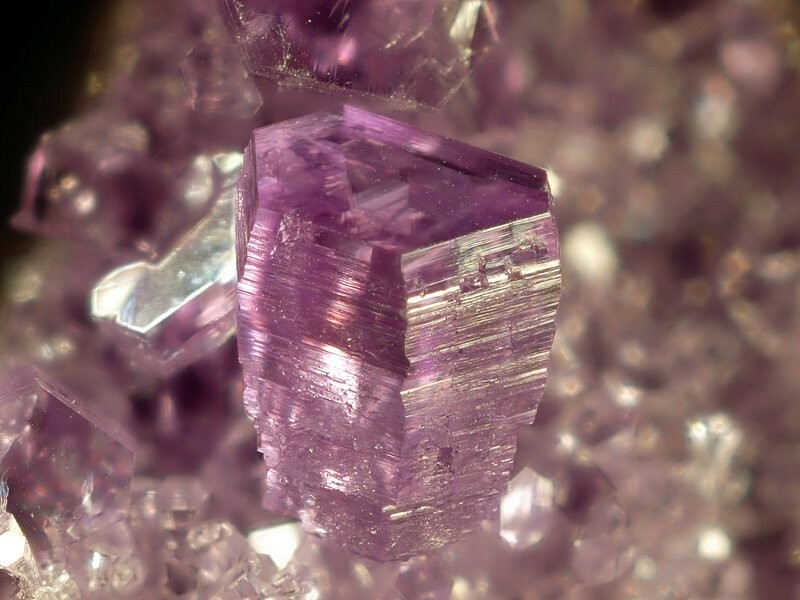 Amesite: Mineral information, data and localities. Named in 1876 by Charles Upham Shepard in honor of James Tyler Ames [May 13, 1810 Lowell, Massachusetts, USA - February 16, 1883 Chicopee, Massachusetts, USA], who was part owner of the Chester Emery Mines. Ames came from a family of inventors and manufacturers. A close relative, John Ames, made many important mechanical developments in modern machine-made paper. James originally worked manufacturing cutlery and edge weapons in his father's [Nathan P. Ames, Sr.] factory. "In 1834, he removed to Chicopee Center, where the Ames Manufacturing Company was established, with Edmund Dwight, of Boston, president, James T. Ames, superintendent, and Nathan P. Ames [Jr.], agent. The company made contracts with the United States government for a lot of swords. Mr. [James T.] Ames had a rare genius for inventions ; in company with General James of Rhode Island, he invented a ball that was afterwards patented, and out of which grew the necessity of rifled cannon. During the War of the Rebellion he had large contracts with the government for the making of swords, cannon, and for military accoutrements, and also secured a contract for government mail bags. ... Mr. Ames was the first to introduce bronze statuary work in the United States. His first work was the construction of the Washington statue, in Union Square, New York. The bronze doors of the Senate extension of the National Capitol at Washington were made under his supervision, and "were masterly specimens of his genius, and famous as triumphs of art. ... In 1856, he went to England, where he obtained several important contracts, one of which was to furnish the Enfield Arms Works (controlled by the English government) with machinery for the manufacture of guns of the same pattern as that used at the Springfield Armory. He also obtained a contract for similar machinery for the Birmingham Small Arms Works. He visited France and interested Napoleon in the machinery used in the manufacture of arms. He met and became acquainted with the designer of the Crystal Palace; through his friendship he was enabled to meet nearly all the prominent mechanical engineers of Europe. He furnished Spain with machinery for the making of arms. He was one of the first to engage in silver plating in this country. 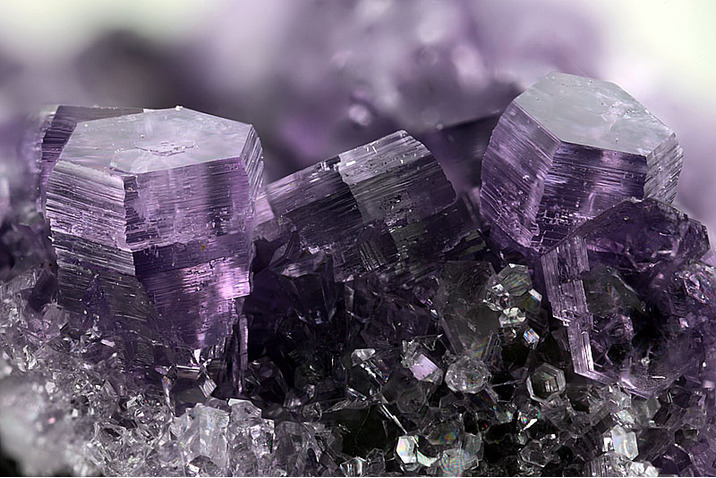 He was much interested in mineralogy and had an unusual and rare collection of minerals. He was a skilful carver in wood, unique figures of which he often presented to his friends as keepsakes." (Chapin,C.W. 1893). See also Van Slyck (1879). Because of C. U. Shepard's acceptance of the phosophy of external characters of minerals, his new minerals were consequently closely scrutinized by his brother-in-law, James D. Dana and other family members. Amesite was quickly relegated to varietal status under the chlorite Shepard had named corundophilite, also from the Chester Emery Mines. Amesite was re-established as a species by Shannon (1920), although he continued to refer to amesite as a chlorite. Gruner (1944) demonstrated that amesite is a serpentine. Several polytypes are known: 2H1, 2H2, 6R and others. Powder data for 2H2 polytype. Uvarovite 10 photos of Amesite associated with Uvarovite on mindat.org. Sanidine 6 photos of Amesite associated with Sanidine on mindat.org. Clinochlore 5 photos of Amesite associated with Clinochlore on mindat.org. Zoisite 4 photos of Amesite associated with Zoisite on mindat.org. Perovskite 3 photos of Amesite associated with Perovskite on mindat.org. Chromite 3 photos of Amesite associated with Chromite on mindat.org. Calcite 3 photos of Amesite associated with Calcite on mindat.org. Thulite 3 photos of Amesite associated with Thulite on mindat.org. Diaspore 3 photos of Amesite associated with Diaspore on mindat.org. Magnetite 2 photos of Amesite associated with Magnetite on mindat.org. 16.19.23 Corrensite (Mg,Fe)9((Si,Al)8O20)(OH)10 · nH2O Orth. Amesite is not known to be dangerous, however do not confuse this with Amosite, or Brown Asbestos, which is dangerous. Please view the Amosite page for further information. Shepard, C.U. (1876) Notices Mineralogues [Amesite]. Compte Rendus: 83: 166. Shepard, C.U. (1876) Order XI. Talcite. Amesine. 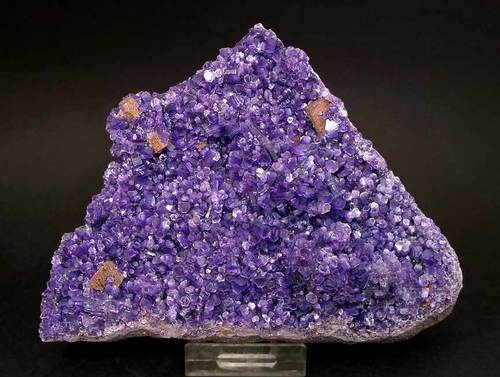 in Catalogue of minerals found within about 75 miles of Amherst College, Ms, (Amherst) 4-4. Van Slyck, J.D. (1879) Ames Manufacturing Company, New England Manufacturers and Manufactories, Volume 1. Chapin, C.W. (1893) Sketches of the old inhabitants and other citizens of old Springfield of the present century, and its historic mansions of "ye olden tyme", with one hundred and twenty four illustrations and sixty autographs, 420 pages. Shannon, E.V. (1920) A New Description of Amesite. American Journal of Science: fourth series: 49: 96-98. Gruner, J.W. (1944) The Kaolinite Structure of Amesite OH8(Mg,Fe)4Al2(Si2Al2)O10, and Additional Data on Chlorites. American Mineralogist: 29: 422-430. Steadman, R., Nuttall, P.M. (1962) The crystal structure of amesite. Acta Crystallographica: 15: 510-511. Anderson, C.S., Bailey, S.W. (1981) A new cation ordering pattern in amesite-2H2. American Mineralogist: 66: 185-195. Taner, M.F., Laurent, R. (1984) Iron-rich amesite from the Lake Asbestos mine, Black Lake, Quebec. The Canadian Mineralogist: 22: 437-442. Wiewióra, A. (1990) Crystallochemical classifications of phyllosilicates based on the unified system of projection of chemical composition: III. The serpentine-kaolin group. Clay Minerals: 25: 93-98. Wiewióra, A., Rausell-Colom, J.A., García-González, T. (1991) The crystal structure of amesite from Mount Sobotka: A nonstandard polytype. American Mineralogist: 76: 647-652. Zheng, H., Bailey, S.W., (1997) Refinement of an amesite-2H1 polytype from Postmasburg, South Africa. Clays and Clay Minerals: 45: 301-310. The following Amesite specimens are currently listed for sale on minfind.com. Götzinger, M. A. (2009): Die Salzminerale des Seewinkels, Burgenland. Wang, Q.F., Deng, J., Liu, X.F., Zhang, Q.Z., Sun, S.L., Jiang, C.Z., Zhou, F. (2010): Discovery of the REE minerals and its geological significance in the Quyang bauxite deposit, West Guangxi, China. Journal of Asian Earth Sciences 39, 701-712. Manceau, A., Calas, G., & Decarreau, A. (1985). Nickel-bearing clay minerals: I. Optical spectroscopic study of nickel crystal chemistry. Clay Minerals, 20(3), 367-387. Ryback, G., Nawaz, R. and Farley, E. (1988) Seventh Supplementary List of British Isles Minerals (Irish). Mineralogical Magazine, vol. 52, n° 365, pp. 267-274. Miyajima et al (1999) Ganko Gakkai Koen Yoshi, 194. Pekov, I. (1998) Minerals First discovered on the territory of the former Soviet Union 369p. Ocean Pictures, Moscow; Fleischer M (1971) New mineral names. American Mineralogist 56, 631-640; Shpanov, Y. P., Sidorenko, G. A., & Stolyarova, T. I. (1971). Akdalaite, a new hydrated variety of alumina. International Geology Review, 13(5), 675-680. Koval'chuk, N.S., and Makeev, A.B. (2008): Geology of Ore Deposits 50(7), 503-517.
de Villiers, J. E. (1943): Gamagarite, a new vanadium mineral from the Postmasburg manganese deposits. American Mineralogist: 28, 329-335. Cairncross, B. and Dixon, R., (1995), Minerals of South Africa. The Geological Society of South Africa: 182. Minerals of South Africa; Gutzmer, J. (1996). Genesis and alteration of the Kalahari and Postmasburg manganese deposits, Griqualand West, South Africa (Doctoral dissertation, Rand Afrikaans University). Anthony, J.W., et al (1995), Mineralogy of Arizona, 3rd.ed. : 108. Norman, L.A. & Richard M. Stewart (1951), Mines and mineral resources of Inyo County, California: California Journal of Mines and Geology: 47(1): 117-118; Page, Benjamin Markham (1951), Talc deposits of steatite grade, Inyo County, California: California Division Mines, Special Report 8, 35 pp. ; Hall, Wayne Everett & Edward M. Mackevett (1963), Geology and ore deposits of the Darwin quadrangle, Inyo County, California: USGS PP 368: 81; Pemberton, H. Earl (1983), Minerals of California; Van Nostrand Reinholt Press: 418.